BIT Systems, a CACI Company, is looking for talented Engineer/IT professionals that are excited about using the latest technologies available to create critical data analysis and alerting capabilities for the dynamic US intelligence community. Answer the call to serve and join a highly talented engineering team developing solutions for intelligence community needs. As the threats against our nation and world increase, we need your expertise to apply industry tools and products to meet these challenges. Our client engagement processes underlay the way we collaborate, operate, and deliver value to create mission critical software applications. We need top developers that are highly self-directed and motivated, collaborate respectfully with their teammates, and always keep the user mission first. We have a long track record delivering critical applications on-time and on-schedule. You will be part of a responsive team where communication skills and the ability to solve problems are critical to our success. You can expect to work with highly motivated teammates that will support and push you, and will expect reciprocal action on your part. This environment provides an unparalleled opportunity to grow and advance. Choose us, and make delivering meaningful, innovative solutions part of your extraordinary career. Offices for this opportunity are in Sterling, VA. For those outside of the area, relocation assistance is considered on a case by case basis. We believe in a healthy home/work balance; both of our locations offer a wide variety of activities to balance with your work life. 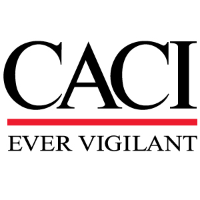 Check us out at http://www.caci.com/bit-systems/. - Typically requires a Bachelor's degree in Computer Science, Math, Engineering, related technical field or equivalent and 2 to 4 years of related experience in software development or related technical fields. BIT Systems Inc. is a CACI company. solving complex problems with the application of leading-edge technology solutions, empowering our employees to make better mission-critical decisions. We provide the tools you need to succeed. successfully; we let you be you.